The Knepp Castle a stunning location a few miles south of Horsham in beautiful Sussex countryside. Peaceful and relaxing. Inside the Absolute Health and Fitness gym we have all the latest gym equipment. And a warm welcome! If you’ve not visited yet do come along and have a look. Get in touch to arrange a time. I’d love to see you! Personal training and small group training sessions available. Small group training session run three days a week – Monday, Wednesday and Friday with morning and evening sessions available. Maximum of 4 people to a group so that you are guaranteed personal attention and a training programme tailored to your needs. The groups cater for a range of ages and fitness levels, retired people, young mums, busy professionals. Anyone who wants to get fit or fitter. Contact me to find out more. There’s something to suit everyone! 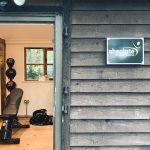 I am a qualified and experienced Personal Trainer based at the gym on the Knepp Castle Estate near Horsham in West Sussex. I love to help my clients achieve their fitness goals - "Making your goals my achievements." Contact me on 01403 390193 for a no-obligation chat. 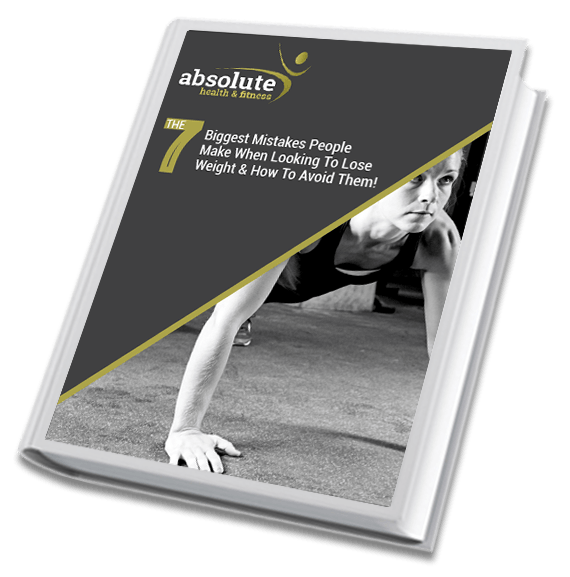 Discover The 7 Biggest Mistakes People Make When Looking To Transform Their Fitness & How To Avoid Them! Download the e-book here. Personal Training in a Small Group - Affordable, Effective, Fun! 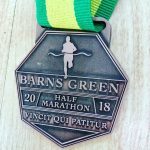 Serious Runner and Running Newbie Smash Barns Green Half Marathon and 10K! Very helpful and friendly. I'd recommend Stuart to anyone! Stuart has been my Sports Massage Therapist for the last 5 years and he helps me keep in great shape to look after my patients. I'm a Chiropractor and I work closely with Stuart. We regularly refer patients to each other because Chiropractice and Sports Massage complement each other very well. I get regular sports massages from Stuart and I would absolutely recommend using his services. He is the best Sports Massage Therapist I have worked with. Stuart is absolutely fantastic! I'm a real gym dodger and couldn't think of anything worse! But having Stuart there to support and encourage me was fantastic! It didn't feel like such a chore to use the gym! I dare say I actually enjoyed it! Stuart helped me lose 2.5 stone and I was chuffed to bits! He's a great guy who really takes on board your goals and works with you to come up with a plan to reach them!! You won't regret having Stuart as your personal trainer! Absolutely awesome! Stuart is an all round great guy and listens to his customers needs, and is helping me to reduce my body fat! He always changes up the training regime, and puts my body into shock, I can literally feel the fat melting away! I can't recommend him highly enough! Thanks Stuart, you are the man! If you think you need to be über fit to hire a personal trainer then think again. In actual fact if you're terrified of the gym then working with a PT is a great idea. Stuart is a lovely, affable chap who won't judge you if you're fat and unfit... but he will most definitely help you get started and what's more, you'll enjoy it. Highly recommend stuart at absolute health and fitness for fatties who want to be fitties. What can I say about Stuart Wilkinson? Well I will start with a big thank you for sorting out my knee injury which I believed was joint wear. Turns out it was a problem with my right quad. Stuart has been giving me physio for about 6 weeks now and the results have been absolutely astounding. I can't recommend Stuart enough. I am now back running without a limp or a knee support. I am now back close to PB time at Tilgate Parkrun. After surgery Stuart helped me get back to fitness with a stretching programme plus intensive strength training and sports massage. My levels of pain have reduced dramatically and I am now swimming to the same level as before. We are still working on a return to golf, but I have every confidence in Stuart that we will achieve this. I have a very focused and intense triathlon training programme. I receive regular deep, highly effective sports massages from Stuart. Stuart is very knowledgeable about the body structure and can quickly find muscles that are tight or sore. His treatments certainly contributed to my successes in 2013. I cannot recommend Stuart enough as a personal trainer. 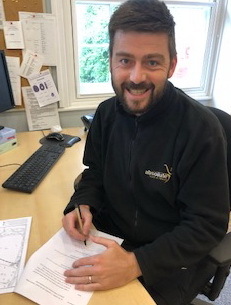 Stuart is extremely knowledgeable and passionate about what he does. Workouts with him are fun and tailored to your needs. And most importantly they achieve results! I started training 3 months ago and it has made a major difference to my life. I have lost 2 ½ stones and feel more energetic and alert during the day. Stuart is a great trainer and knows how far to push you. Stuart is a very motivational personal trainer who achieves great results, even when you're exhausted after a day at work. I have seen many personal trainers at gyms, but Stuart is in a totally different league. Try him! Stuart is a great guy to work with. I have seen the results he gets from clients and his commitment and energy speaks for itself. I would have no hesitation in recommending Stuart and his services to any of my customers. Keep up the good work! I am sure I presented an exercise plan nightmare to Stuart! After 5 operations plus a disc replaced in my spine, Stuart rose to the challenge and devised a plan to suit my limited capabilities. 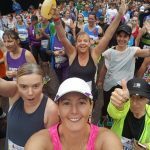 Whether you are an old crock like me, or a serious runner trying to always beat your PB, Stuart can help you. Stuart helped me to achieve a good mental attitude ready to begin personal fitness training. He treated me for a muscle injury and very soon I was seeing a huge improvement in my mobility. I would recommend Stuart to anyone who needs either personal fitness advice or help with a muscular injury. "Making your goals our achievements"